Between Hood to Coast and a 10K on back-to-back weekends, my body withdrew into a full-blown racing hangover that lingered for days. Marathon training is a lot like beer. It’s slow to kick in, but can still knock you off your feet if you have a few too many. I made the mistake of mixing in a couple shots of tequila. Yes, racing offered a quick buzz that felt great. But…it probably wasn’t the best idea. I had a little too much fun. So despite the arrival of gorgeous fall weather, my legs were anything but fresh and springy for a full week and a half post-10K. I just felt flat, empty of any real energy. On Monday, I was torn between officially returning my regular routine and cutting it back for a few extra days to let my body fully recover. I opted for the later. To fight the fatigue, I actively cut back on my mileage and eased up my mid-week runs to make up for the harder weekend efforts. Thankfully, it paid off. Come Wednesday, I felt like myself again. Thursday and Friday felt good, too! Crisis averted. Whew. Side note: The past couple of weeks made me realize that I’ve been treading that fine line between training hard and overtraining. Usually I’m pretty good at not crossing it, but I have to admit that scaling back felt a bit like… cheating? I didn’t want to fall further away from my solid streak of training weeks, but I also didn’t want to risk get injured either. Regardless, feeling off was no fun and certainly wasn’t doing any favors for my confidence. Deep down, I wasn’t too worried because I trust in myself to listen to my body and do what feels right. Since my calendar is (thankfully) clear now of any major races, my hope is that everything will naturally fall back into place within the next week or so and it’ll be smooth sailing through to October 27. A 10K PR! PRs are always a good thing. Here’s my recap! An impromptu mid-morning trail run at work, which, like any trail run in general, was way too much fun. 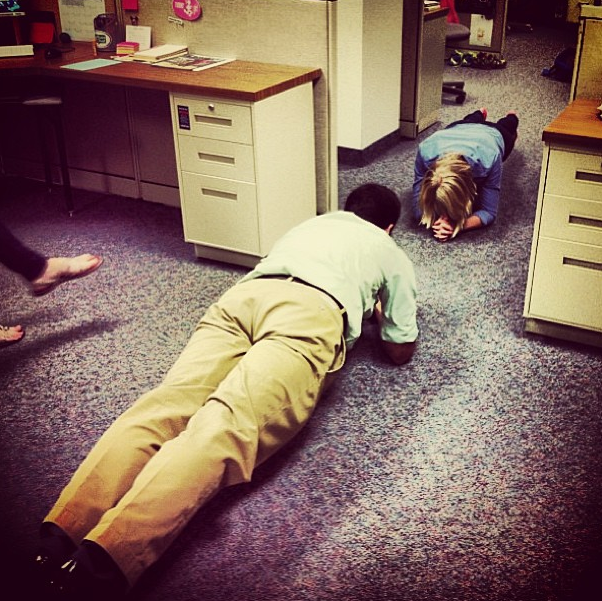 A plank-off with a coworker. I lost BUT we went for over two minutes. It was nice to see physical evidence of my strength training. Fun fact: We did this in work clothes in our cubicles. 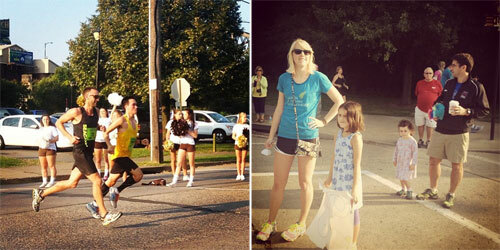 Spectating the VIA Marathon with my yoga goddess of a friend Rebecca. (Seriously, check out her blog – this Boston girl is the Dorothy Beal of the yoga world!). 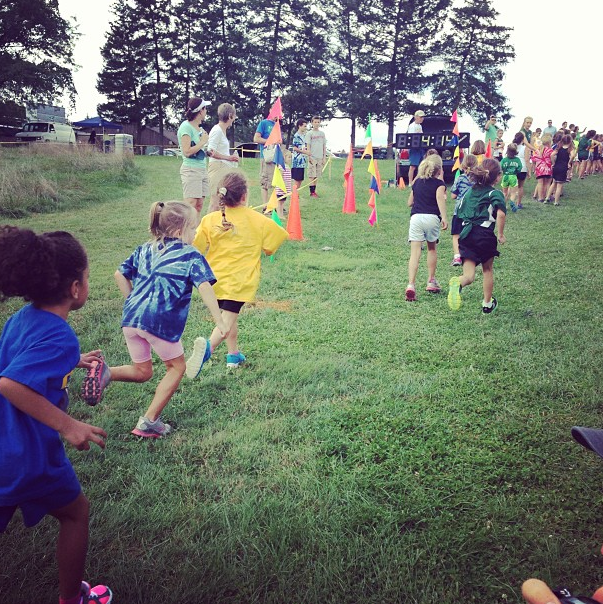 I had such a blast cheering on my friends who BQ’d the heck out of that course. I couldn’t be more proud, impressed, and inspired by their races. Surprise! Rebecca’s BF (gray) and my old Lehigh teammate (yellow) ran the first 13 miles together! And there’s the cheer squad. They’re such cutie pies! Completing a 5-miler in what felt like a 104-degree sauna. Just finishing this run was enough. Soaking in the cool fall weather on my run yesterday, which was especially wonderful after the inferno we ran through on Wednesday. As of this post, we are only 42 (AHH!) days away from race day! Hopefully by this time next week I’ll have a more positive training report to share! 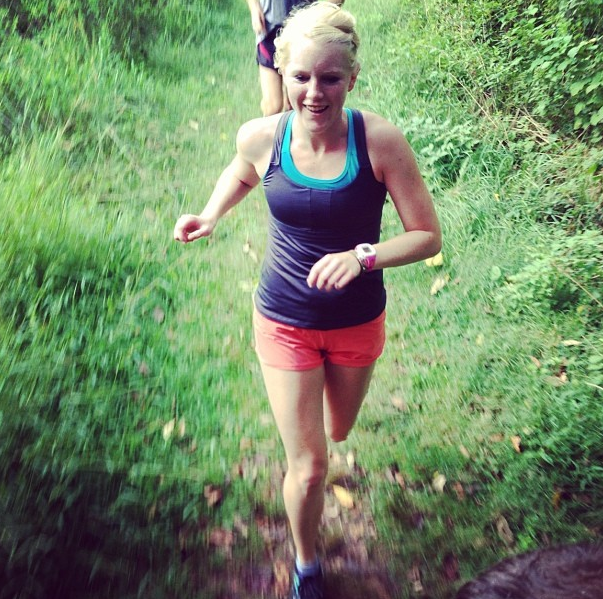 Next Post → A Note To My Future Self That Summer Marathon Training IS Worth It!